A lawsuit has been filed in the Superior Court of NJ – reveals how former Lakewood Mayor Menashe Miller tried to defraud the town. Also reveals who is the real owner of Flow White Milk. The quotes below are from the documents submitted to the court. Charles ‘Chatz’ Schwab hides his ownership interest in assets by having family members hold them as nominee. allow FWM retain this property, worth between from $300,000 to $400,000 for nothing. 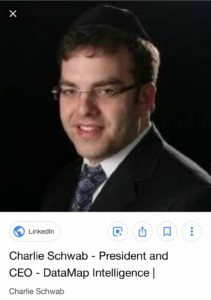 to benefit the interest of an entity in which Charles ‘Chatz’ Schwab has an interest, is obviously very …..
Charles ‘Chatz’ Schwab now claims to have nothing to do with FWM. Defendants explain, with overwhelming documentary evidence, clearly Plaintiff has a substantial interest in FWM, which is being concealed by the entity being held in the name of his cousin, Yitzchok Schwab, and Yitzchok Schwab’s wife, Rachel Bauman. related to FWM as being 22 Carasaljo Drive, Lakewood, NJ. This is a single-family residence, that Plaintiff acknowledges is his address. identify anyone with an ownership interest of at least 10%, Ms. Bauman only identified herself..
17, Rachel Bauman was identified in the verified complaint as its managing member. Lakewood, NJ. Id., Pages 13, 17. This is Charles’s residential address. registered agent for FWM was also 22 Carasaljo Drive, Lakewood, NJ. noted, Chatz is Plaintiff’s diminutive name. Lakewood LLC, and Pinerock Terra LLC. corporate status report indicates that the principal of the entity is “Flowing White Milk LLC.” Id. An entity cannot own itself. previously noted, Plaintiff has an ownership interest in the entity. 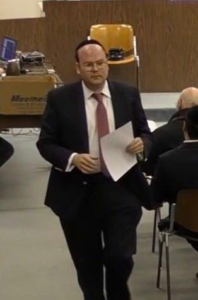 However, he seeks to conceal that interest because of the scrutiny that would arise from Menashe Miller, with whom he is associated, having tried so hard to ensure that it would obtain ownership of Lakewood Township’s property for free. Block 569, Lots 7 and 9. Partners LLC v. Edith Barbara Kontner, et. al., F-47921-13. 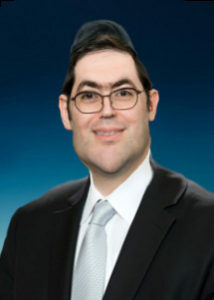 Exhibit J, indicates that its principal is Yitzchok Schwab. property in Milestone Investment Partners. A copy of the judgment is attached as Exhibit K.
Milestone Investment Partners LLC. Id. report for Lippencott Capital LLC, which is attached as Exhibit M.
away its property for free. merely acting as a front for Charles. Y Schawab wears cufflings on a regular Tuesday. Who does he think he is?!?!? The Governor? Chatz, Sometimes you can be your own worst enemy. Your fiends egged you on to this suit, it may be too late to pull out. After all of these years of work, for it all to go down in history like this? Sit back, What do you want history to remember you for? Hi. It’s well known that Yitzy Schwab has his own tax lien business (together with Rokowsky from Tryko) which buys tax liens on properties. You are alleging that Chatz is also a partner. I don’t think that’s likely. If I had to guess, Ike probably made a deal with Chatz, that Ike would give Chatz a profit share in the property (and the new company) if Chatz takes care of the development and approvals.